Joseph Natanson, a Polish born artist, who died in Rome at aged 94, began life as a Surrealist painter before being recruited in 1947 to do the special effects for Michael Powell and Emeric Pressburger’s film “The Red Shoes”. He then became part of the Shepperton matte painting department at London. This followed Natanson’s move in the early 1950s from London to Italy, where he collaborated with many leading Italian filmmakers, including Vittorio De Sica, Sergio Leone, Pier Paolo Pasolini, and Franco Zeffirelli, as well as numerous other visitors to Cinecitta, from John Huston to Joseph Mankiewicz. In the end, he was involved in more than 80 films, the last of them Jean-Jacques Annaud’s “Name of the Rose”. 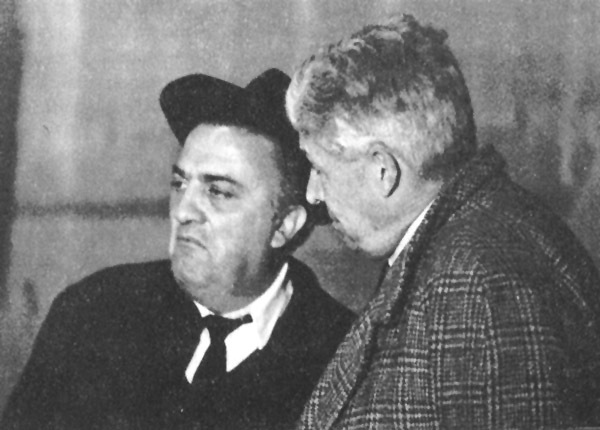 His principal task was painting and filming “matte-shots”, miniature scenes and additional elements on glass, that were blown up by the camera to create magnificent backdrops cityscapes, vistas and details that would have been prohibitively expensive to construct, or impossible to engineer and co-ordinate while shooting the main action. 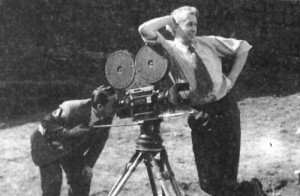 Long before the use of computericed effects, Natanson had ingenious tricks of the trade; for Mankiewicz’s “Cleopatra”, using a castle in the sea near Anzio as a point of view, he managed, with the landscape artist Mary Bone, to create a vast panorama of ancient Alexandria. However, after a delay in filming, when Elizabeth Taylor was indisposed, he noticed that due to a change in the weather, the distant chain of the Italian Apennines, until then shrouded in mist, had suddenly become startlingly visible. The sets were hastily repainted. 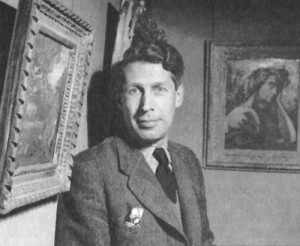 Natanson at 1946 in London. 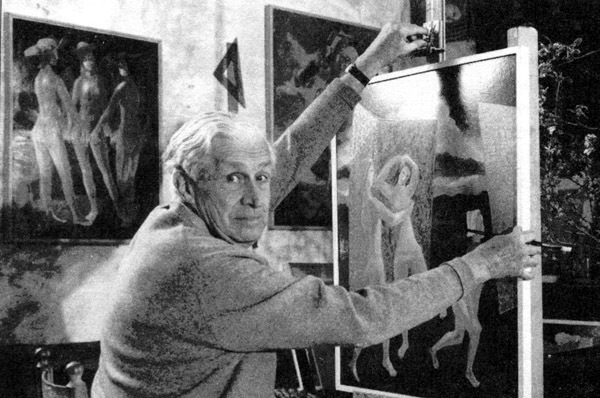 Natanson painting in his studio. Posted on 17 January, 2014 by Domingo Lizcano. Permanent link.